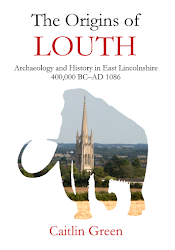 Caitlin Green: A brief note on Willinghams and Inghams: Anglo-Saxon pagan priests and Kultverbände in Lincolnshire & East Anglia? The following brief post is not intended as a rehearsal of the full corpus of place-names thought to make reference to early Anglo-Saxon pagan deities and temples/shrines, nor as an examination of the argument that many of these names may reflect late-surviving pagan sites that continued in use after most other such sites had been repressed or Christianized. (1) Instead, its aim is simply to draw attention to recent research on two small groups of names that could have some relevance to the study of early Anglo-Saxon paganism, but which haven't, so far, tended to feature in most discussions of this. The main place-names discussed in this post, set against the current coastline (drawn by C. R. Green). The first element in this name, wifel, is actually found in a large number of English place-names and has been discussed several times in recent years. Peter Kitson and Gillian Fellows-Jensen have made a strong case for considering that the Old English insect-term wifel, 'weevil or beetle', is probably present in a significant proportion of these names, although some could perhaps instead reflect wifel as a known variant of Old English wifer, meaning here 'a trapping spear' (as proposed by Carole Hough for Wilsill in Yorkshire, Wifeles healh in c. 1030). (3) Nonetheless, most commentators agree that early Old English habitational names like the three Willinghams in Lincolnshire and Cambridgeshire require a different explanation. In this context, an unrecorded Old English personal name *Wifel formed from the insect-term wifel has often been suggested—despite scepticism from a number of researchers as to whether it is really plausible that an early Anglo-Saxon personal name might be formed from Old English wifel, 'weevil or beetle'—making *Wifelingahām simply 'the estate of the *Wifelingas, the people/dependants of *Wifel'. (4) However, such a solution is not the only possible explanation of these three place-names, as John Insley has argued in recent years. Insley's alternative, and highly intriguing, interpretation of the significance of those place-names that derive from *Wifelingahām was published and reiterated in a series of contributions to Reallexikon der Germanischen Altertumskunde between 1999 and 2005. (5) He notes there that the Old Norse personal names Véseti and Vífill were originally terms for heathen priests and that an Old Swedish *vivil—attested in place-names—was also a designation for such a function. With regards to *vivil, Insley cites the place-name Vivilsta in Markims socken, Uppland < Vivils-Husar, 'portion of an administrative centre assigned to a pagan priest', and Fellows-Jensen further notes in this context the two early Scandinavian runic words for a pagan priest, wiwaʀ (c. 500) and wiwila (sixth century), and observes that several names derived from *vivil occur in the Mälaren region, these having been recently studied by Per Vikstrand. (6) In light of the Scandinavian evidence, Insley suggests that the three *Wifelingahām place-names (North Willingham, Willingham by Stow and Willingham in Cambridgeshire) are thus not, in fact, normal ‑ingahām names involving an unrecorded Old English personal name *Wifel. Rather, he considers that they are better seen as containing a cognate of Swedish *vivil, 'pagan priest'—which would take the form *wifel in Old English—as a specific, and so denote Kultverbände or cultic groups under the leadership of a pagan priest. 1 See, for example, M. Gelling, 'Further thoughts on pagan place-names', reprinted in K. Cameron (ed. ), Place-name Evidence for the Anglo-Saxon Invasion and Scandinavian Settlements (Nottingham, 1977), pp. 99–114; M. Gelling, Signposts to the Past. Place-names and the History of England, 2nd edn (Chichester, 1988), pp. 158–61; J. Insley, 'Kultische namen', Reallexikon der Germanischen Altertumskunde, 17 (2000), 425–37. 2 K. Cameron, A Dictionary of Lincolnshire Place-names (Nottingham, 1998), p. 139; V. Watts, The Cambridge Dictionary of English Place-Names (Cambridge, 2004), p. 681; E. Ekwall, The Concise Oxford Dictionary of English Place-Names, 4th edn (Oxford, 1960), p. 520; G. Fellows-Jensen, ‘The Weevil’s claw’ in A. van Nahl et al (eds), Namenwelten (Berlin, 2004), pp. 76–89 at 82–4. 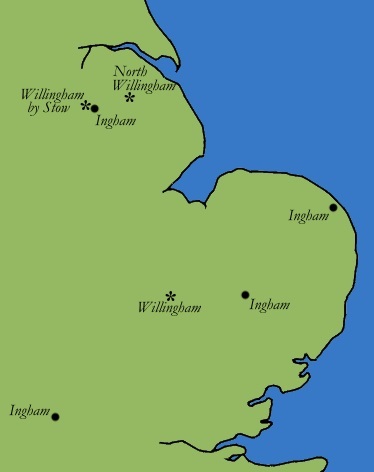 North Willingham was Wiuilingeham and Wiflingeham in 1086 and c. 1115; Willingham by Stow was Welingeham and Uiflingeheim/Wiflingham in 1086 and c. 1115; and Willingham in Cambridgeshire was Vuivlingeham and Wiuelncgaham in c. 1050 and 1086 (Fellows-Jensen, 'Weevil's claw', pp. 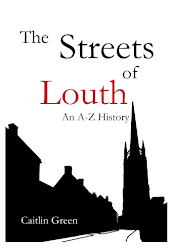 82–3; Cameron, Lincolnshire Place-names, p. 139; Watts, Cambridge Dictionary, p. 681). 3 For Old English wifel, 'weevil or beetle', being present in many of these names, see P. Kitson, 'Quantifying qualifiers in Anglo-Saxon charter boundaries', Folia Linguistica Historica, 14 (1993), 29–82 at 75–7, and Fellows-Jensen, 'Weevil's Claw', pp. 76–82, 86, supported by Insley, 'Kultische namen', 426–7. For Carole Hough's suggestion, see her 'Wilsill in Yorkshire and related place-names', Notes and Queries, 50.3 (2003), 253–7, although see Fellow-Jensen, 'Weevil's claw', pp. 86–7, for some some scepticism as to the general applicability of this idea. 4 Cameron, Lincolnshire Place-names, p. 139; Watts, Cambridge Dictionary, p. 681; and especially Fellows-Jensen, 'Weevil's Claw', pp.83, 84 and 86. Fellows-Jensen makes it clear that she assumes that an Old English personal name *Wifel would be a 'by-name meaning "beetle"' rather than anything else (p. 86), but Peter Kitson and Carole Hough both consider an Old English personal name *Wifel formed from OE wifel, 'weevil or beetle', to be intrinsically unlikely and 'improbable': Kitson, 'Quantifying qualifiers', 75–7, and Hough, 'Wilsill in Yorkshire', 254 and 257 (quotation at the latter location). 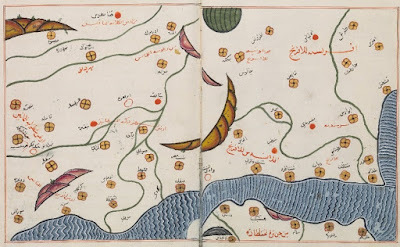 Note, place-names involving ‑ingahām are often believed to have their origins in the early Anglo-Saxon period: J. Kuurman, 'An examination of the ‑ingas, ‑inga‑ place-names in the East Midlands', Journal of the English Place-Name Society, 7 (1974–5), 11–44; B. Cox, 'The significance of the distribution of English place-names in -hām in the Midlands and East Anglia', Journal of the English Place-Name Society, 5 (1972–3), 15–73; K. Cameron, English Place Names, 2nd edn (London, 1996), p. 71. 5 J. Insley, 'Gumeningas', Reallexikon der Germanischen Altertumskunde,13 (1999), 191–3; Insley, 'Kultische namen', 426–7; J. Insley, 'Siedlungsnamen §2. Englische', Reallexikon der Germanischen Altertumskunde, 28 (2005), 344–53 at 347. 6 Fellows-Jensen, 'Weevil's claw', pp. 84–5, especially 85, citing Per Vikstrand's Gudarnas platser. Förkristna sakrala ortnamn i Mälarlandskapen (Uppsala, 2001). 7 K. I. Sandred, ‘Ingham in East Anglia: a new interpretation’, Leeds Studies in English, 18 (1987), 231–40. 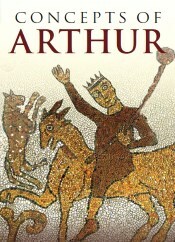 Barrie Cox considered the case convincing in his review of the volume that Sandred's article appeared in (Saga-Book of the Viking Society, 22 [1986–89], 313–14) and references it in his study of early Anglo-Saxon place-names in northern Lincolnshire, observing that '[t]he most obvious villa regalis was surely in the west at Ingham, with its place-name derived from the pagan Germanic god Ing whose name in greater Germania was used as a tag to mark places as royal property' (B. Cox, ‘The pattern of Old English burh in early Lindsey’, Anglo-Saxon England, 23 (1994), 35–56 at 48). 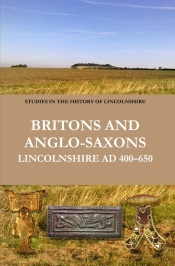 See also Green, Britons and Anglo-Saxons: Lincolnshire AD 400–650 (Lincoln, 2012), pp. 101–03, 162, 262. 8 K. Cameron, Dictionary of Lincolnshire Place-Names (Nottingham, 1998), p. 69; K. Cameron, The Place-Names of Lincolnshire, VI (Nottingham, 2001), p. 184; Insley, 'Siedlungsnamen', 347. It should be noted that this interpretation of the name Ingham is largely adopted by Watts, Cambridge Dictionary, p. 331, for Ingham (Suffolk) and Ingham (Lincolnshire), although somewhat confusingly he offers Sandred's interpretation for Ingham (Norfolk). 9 R. North, Heathen Gods in Old English Literature (Cambridge, 1997); for some criticisms of the latter work, see, for example, Karin Olsen's review of North's book in TijdSchrift voor Skandinavistiek, 19.1 (1998), 187–93. For a possible example of a Kultverband focussed on a pagan Anglo-Saxon deity other than Ing, see perhaps Tewin, Hertfordshire—(terram) Tiwingum in 944x6 and Teuuinge in 1086—which can be potentially interpreted as '(settlement of) the worshippers of Tiw' or similar, another Anglo-Saxon pagan god, although '(settlement of) the people/dependants of *Tīwa' is the more usual interpretation of this name: Watts, Cambridge Dictionary, p. 605; T. Williamson, The Origins of Hertfordshire (Hatfield, 2010), p. 75; A. D. Mills, A Dictionary of English Place-Names (Oxford, 1991), p. 323. 10 P. L. Everson, C. C. Taylor & C. J. Dunn, Change and Continuity: Rural Settlement in North-West Lincolnshire (London, 1991), pp. 10 and 11. 11 The full extent of any such estate is entirely uncertain, of course. However, it may be worth noting that Cox has suggested that '[i]t can be no coincidence... that eventually the great Anglo-Saxon church at Stow grew up so near [to Ingham]' ('Pattern of Old English burh', 48). The large medieval parish of Stow—which encompassed the townships of Stow, Stow Park, Normanby by Stow and the now-separate parish of Sturton by Stow—lies immediately to the south of Willingham by Stow and to the east of Coates/Ingham (Everson et al,Change and Continuity, pp. 10, 11). Although the present church at Stow is of Late Saxon date, an earlier origin for it, potentially in the Middle Saxon period, has been suggested: N. Field, 'Stow church', Lincolnshire History & Archaeology, 19 (1984), 105–06; K. U. Ulmschneider, Markets, Minsters, and Metal-detectors: the Archaeology of Middle Saxon Lincolnshire and Hampshire Compared (Oxford, 2000), p. 148; K. U. Ulmschneider, 'Settlement, economy, and the "productive" site: Middle Anglo-Saxon Lincolnshire A. D. 650–780', Medieval Archaeology, 44 (2000), 53–79 at 68.